The book that started it all . 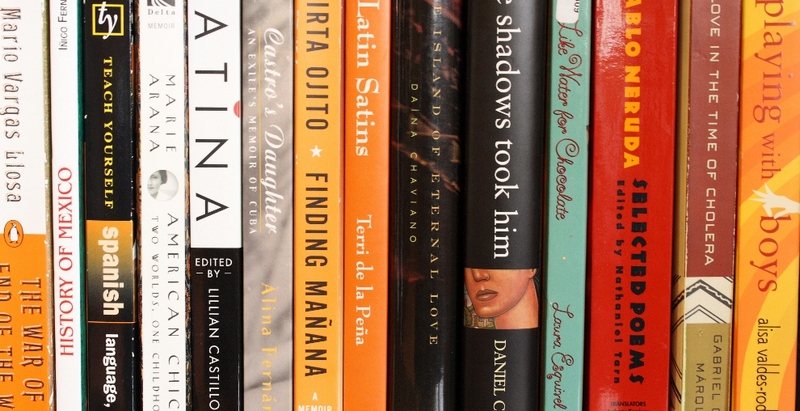 . .
My interest in Latino literature began with one book, purchased on an unassuming trip to the bookstore when I was about 14 years old. 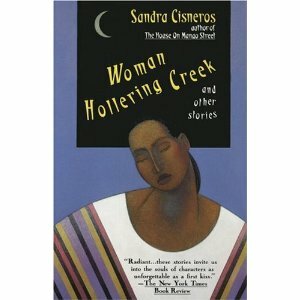 That book was Woman Hollering Creek by Sandra Cisneros. Reading this book made me realize that there wasn’t a generic, white “normal” in which books are written. After reading the book, I realized that books can convey a sense of culture in such a subtle way that just “gets it.” Like most great books, I read and loved this book when I was young, and re-reading it over the years always conveys a new sense of meaning. Even now, re-reading the stories in preparation for writing this post, I had new understanding while reading the book. Lucy Anguiano, Texas girl who smells like corn, like Frito Bandito chips, like tortillas, something like that warm smell of nixtamal or bread the way her head smells when she’s leaning close to you . . . I think I gasped the first time I read those lines. Somebody else knows that there’s always that one person who always smells like the steam rising from a pot of tamales! Keep reading and you’ll discover a writing that is vivid and peppered with phrases in Spanish. The way I talk. This is the first book I ever read like that. Another sucker punch! This is the kind of writing I live for – something raw and so real you almost can’t believe it. This time around, the title story “Woman Hollering Creek” had a profound meaning to me, because now I am a mother. If you are a mother, you know that your whole perspective on the world changes the moment you give birth. This is the story of Cleófilas, a Mexican immigrant who ends up alone in the U.S. with an abusive husband, a son, and a baby on the way. 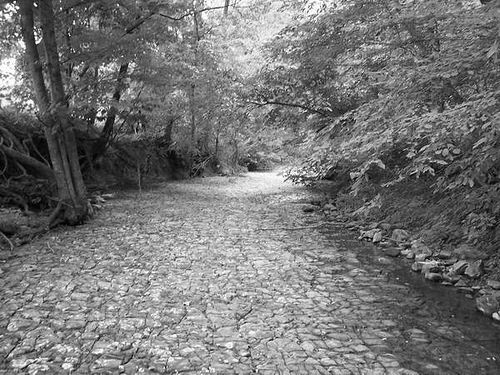 When she moves into the town, she takes note of the strangely named creek (which is real, by the way). As time goes on, she begins to wonder if it is really named after La Llorona. “Perhaps La Llorona is the one they named the creek after, she thinks, remembering all the stories she learned as a child. That darkness is something I think that all mothers know about but is a taboo topic. The spectre of depression that looms over a mother and her newborn child. The power of birth is so forceful I think it is only natural that the flip side of all that joy is just as big, making it a terrible thing. Do you remember La Llorona from your childhood? My torturous cousins blended the stories of La Llorona and Bloody Mary, saying that she would appear if you lit candles in a dark bathroom and looked in the mirror and flushed the toilet and goodness knows what else. I think I ran away from the toilet each time I flushed it for the next 10 years. Well, for me this is the book that started my quest to find others like it. I’ve read many more, and I have a giant stack plus a library list that I’m planning on reading — and I’ll be blogging about it all. Do you have a similar story? Tell me about it! Watch Women, War & Peace on PBS today!!! I was finishing a book review, until I came across the five-part series Women, War & Peace airing on PBS. I was going to simply save it for Friday’s weekend roundup, but the series starts TODAY and it’s on an important topic (also, the trailer looks amazing). The series is about how war affects women (and children). It’s a sad statistic I’ve heard before – the majority of casualties of war 100 years ago were soldiers, but today the majority of war casualties are women and children. What does this have to do with Latinos? Well, the fourth part of the series, The War We are Living, focuses on Columbia, where war over gold still rages in rural areas. Two women are holding their ground. I went to check my local listings and Alabama Public Television has tons of sharing icons – including one for each episode where I can add it straight to my Google calendar. I did it for every episode. Poet leads protest against drug violence in Mexico :: via NYT – Corruption is so ingrained in the fabric of Mexico that it is actually an institution. Taking it out is difficult because it threatens the political system as a whole. Military response to the drug problem, in my opinion, cannot be successful without addressing corruption. According to this article, the population also needs to come to a consensus on the matter. 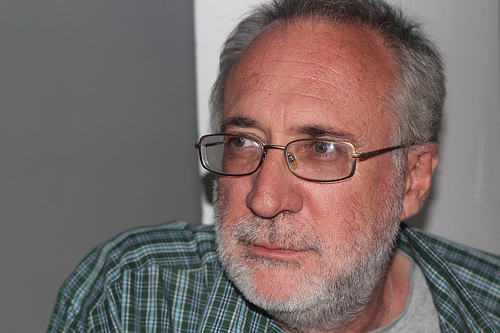 Javier Sicilia is leading a movement against the drug violence in Mexico. 100 Stars You Never Knew Were Latino :: via Latina – I love these articles, probably because I’m a light-skinned Latina! Nobel Prize for literature goes to Swedish poet :: via NPR – This guy has a pretty cool last name. It makes me think of Transformers.